In 1991, after being rescued by a Tsonga medicine woman from a dangerous encounter with a pride of lions, Linda Tucker gave up a career in international marketing and fashion to become a conservationist. 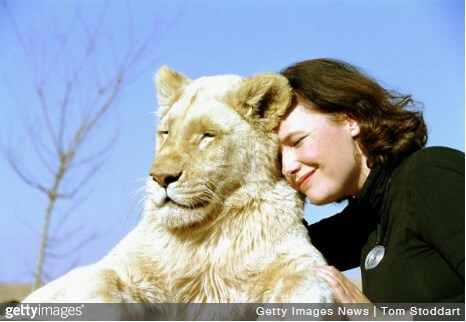 Since then she has dedicated her life to the urgent protection of the critically endangered White Lions, regarded as the King of Kings by African elders. Despite their rarity and cultural importance, the White Lions have no protected status and may be trophy hunted in the wild and in captivity. To ensure the survival of this legendary animal, Linda Tucker has raised millions of dollars in a long-term strategy to secure large tracts of protected wilderness territory in the White Lions’ ancestral heritage lands. Linda founded the Global White Lion Protection Trust, a leader in community-based conservation, after nearly 10 years of intensive research on both the cultural and conservation importance of the White Lions in this region. Over the past 2 decades, this Non Profit Organisation has established a strong track record of creating mutual benefits for Lions, Land, and People in one of the world’s most important wildlife areas: the UN-designated Kruger to Canyons Biosphere. In 2000, together with her partner lion ecologist, Jason A. Turner, and a team of specialists, Linda Tucker was responsible for returning White Lions back to their natural endemic habitat, after decades of forced removals from their natural system had rendered them virtually extinct. 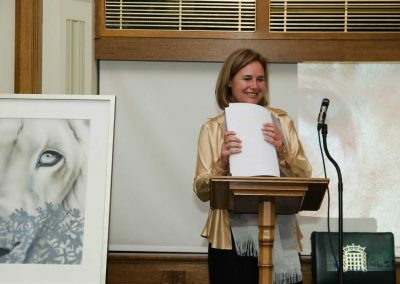 Since this time, her organization has been implementing a multi-level strategy which includes the White Lion Protection Plan™, a carefully monitored scientific reintroduction program of White Lions and the protection of the cultural heritage of the Sepedi and Tsonga peoples who honour the White Lions as sacred. 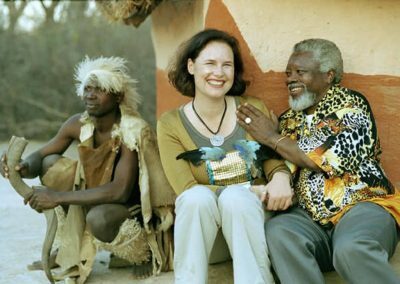 Linda Tucker lives with Jason Turner in the White Lion’s ancestral Heartlands, in the epicenter of the Kruger-to-Canyons wilderness region. Together they are guardians of the land occupied by the White Lion prides they rescued and successfully re-wilded in their ground-breaking scientific reintroduction project. They are ably assisted by the Global White Lion Protection Trust’s dedicated team of over 40 permanent personnel. America’s Prime TV Channel covers Linda Tucker’s story from the catwalk to the big cats.